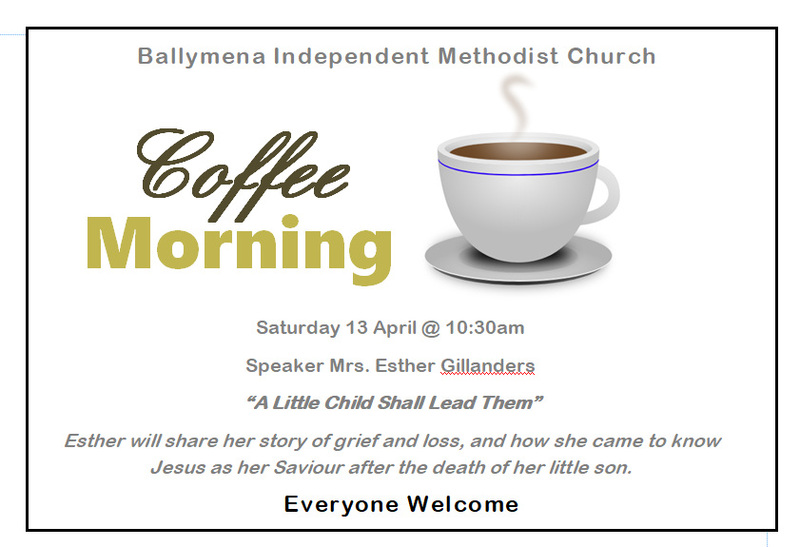 Everyone will be made very welcome at a Coffee Morning at Ballymena Independent Methodist Church. It takes place on Saturday 13th April 2019 from 10:30am. Mrs Esther Gillanders will share her story of grief and loss after the death of her son, but will also tell how she came to know Jesus as her Saviour and Lord after this tragic event. The church address is 12 Doury Park, Ballymena BT43 6LA. Click here for map and directions if needed.